Facilitates assessment and consolidation, with a systematic approach that ensures manageability and progression. 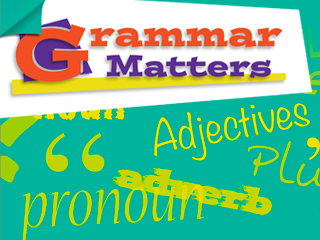 Grammar Matters is a photocopiable dip-in resource which is matched to the core teaching objectives of the English curriculum in Years 5–7. The targeted worksheets focus on the language knowledge and skills expected of all pupils, while follow-up tests help to ensure that new learning is secure.